If you are looking for a way to spruce and refresh your space without having to redesign the entire look, you can easily add sparkle shine to give the room an upgrade, and it requires very little effort on your part. 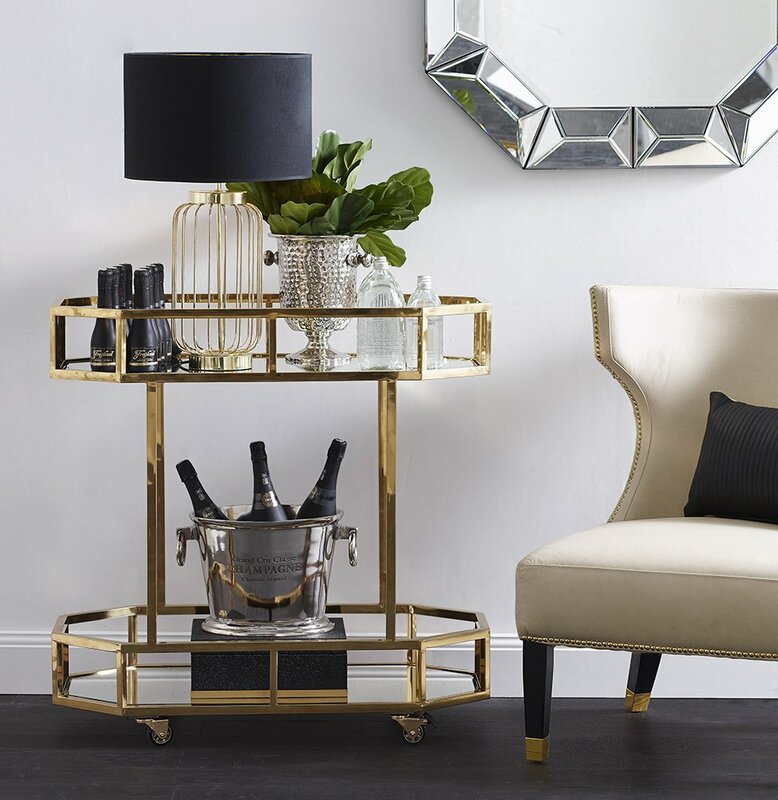 A few simple ways to add sparkle shine to the space include adding metallic details such as gold or silver accents as you can see on the side table, the wall mirror, and even the small details on the armchair. You can also add a small touch of a natural element, such as a plant, to add some green to make the space stand out even more.